Pondicherry is one of the major attractions in South India. The city settled on the Coromandel Coast of the Bay of Bengal, 170 km away from Chennai, is popularly known for its scenic beaches and French culture. The best time to visit Pondicherry is during winter months, from November till March. For more detailed information regarding the best time to visit Pondicherry, read more. The winter season of Pondicherry starts from October to March that remains cool and temperature goes to 17 degree Celsius. This is the most preferred time for visitors to enjoy sightseeing and having beach fun. This is the reason Pondicherry attracts a lot many tourists from around the world in winter months. Also, the International Yoga festival which is held on the 7th of January, brings in huge tourism in the city. 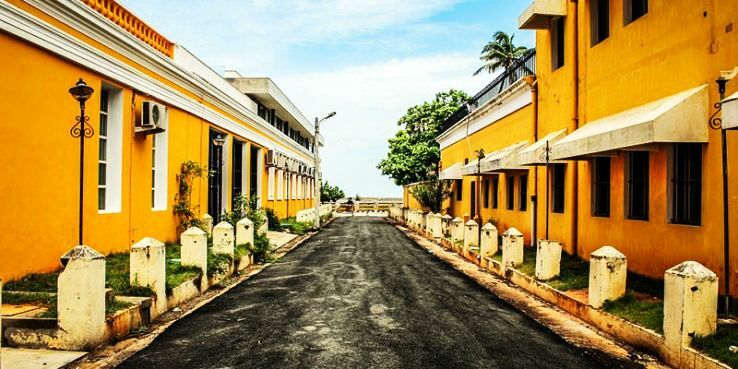 Pondicherry in winter months is full of hustle- bustle and myriad of activities and events keep taking place, thus making it most preferable and the best time to visit Pondicherry. The summer season at Pondicherry starts from March to June where the temperature reaches 41 degree Celsius and is very hot for visitors to stay here. As Pondicherry is a coastal area, so humidity level rises to 93%, which makes it even more hot to go outside in the daytime. Although not much crowded with tourists, the summer season turns out to be the good time for adventure lovers or those who want to indulge in water sports, which you might not be able to enjoy as much in winters. Not just that, summer months doesn’t make Pondicherry, that boring as one of their most important Villianur Temple Car festivals falls in the summer months and grand celebrations take place. So definitely it's not that to visit Pondicherry in summer months as well. The monsoon season falls between July and September where Pondicherry experience heavy rainfall. For travelers who love to enjoy the rainy atmosphere finds it a perfect time to visit it. It is also the best time to enjoy the lush green environment of the city and its surrounding tourist spots. As the rains are most unpredictable and can get really heavy at times as well, bring along lots of humidity as well, but those who want and love to explore the true essence of flora and fauna in Pondicherry then monsoon is the best time to visit Pondicherry.